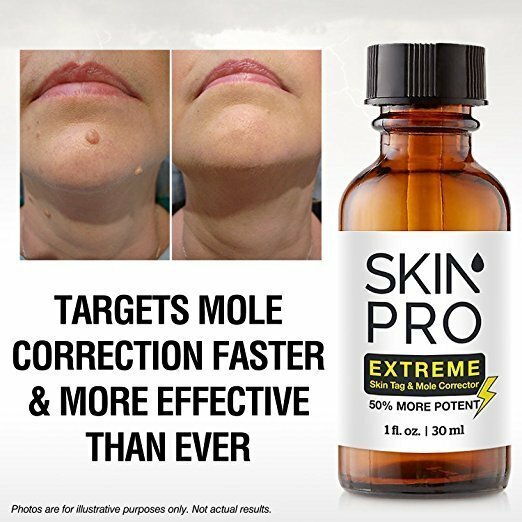 With an industry leading 25% concentration of pure Salicylic Acid, no unsightly blemishes on the skin stand a chance against the SkinPro Extreme Skin Tag & Mole Corrector. 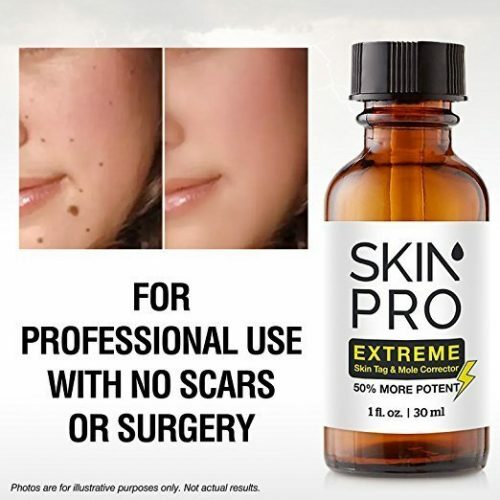 This fast acting corrector quickly removes skin tags, moles, warts, and other growths on the skin without the need of costly and painful freezing, surgery, or other cosmetic removal treatments at your physician or dermatologist’s office. It’s one of our hottest selling topical skin care treatments of 2018. 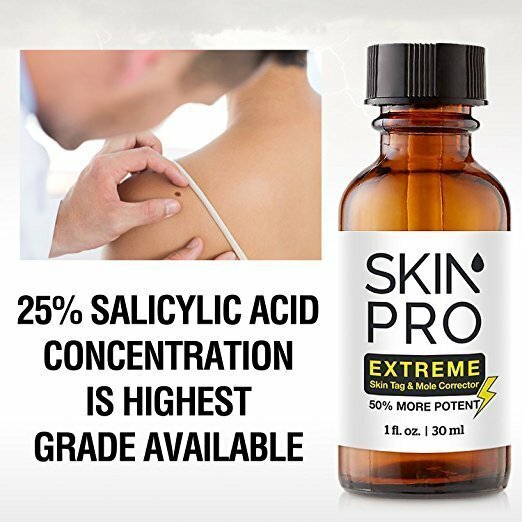 The 25% Salicylic Acid concentration is rated as mega strength and is 50% more potent than our lighter version, the SkinPro Skin Tag & Mole Corrector. 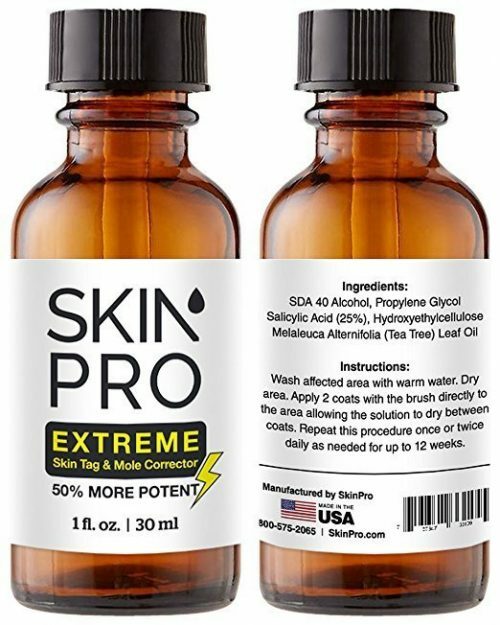 Specifically designed to work faster and more effectively than any other similar solutions on the market, it has been created by our cosmetic pharmacists for maximum potency. 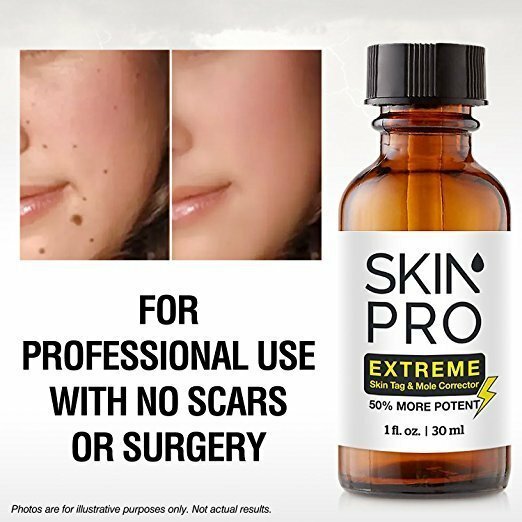 Use it at-home as a cost-effective, non-surgical, and safe solution to removal of many skin issues. 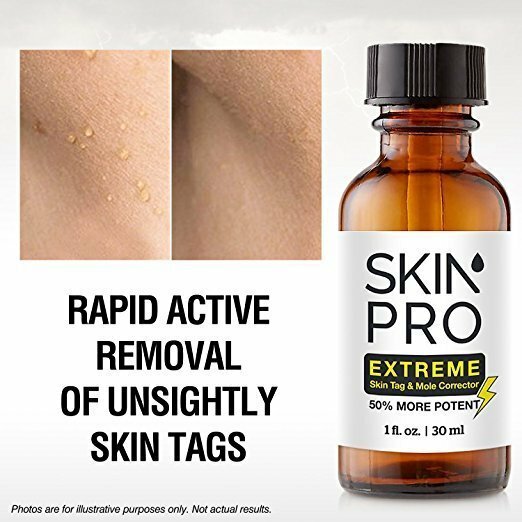 This formula can be applied to all types of moles, warts, and skin tags upon contact and without pain with the included Ultra Fibre Brush. Outer layers of the skin are shed while the inner layers are penetrated to target the issue at its source for permanent removal.